Buckle up! 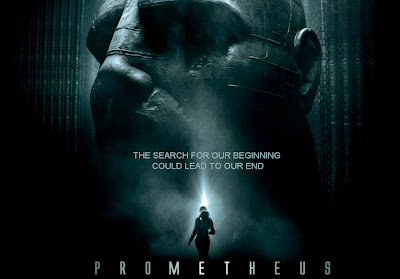 This Undead Monday is going down with an awesome new trailer for Ridley Scott’s Prometheus! Rise and shine, everybody on this dreadful Undead Monday. Here to kick-start our week into oblivion is the latest and no doubt greatest trailer of Prometheus, the sci-fi horror film that signals the triumphant return of Ridley Scott to the genre he made famous. We were earlier amazed at the creepily cool viral campaign featuring Michael Fassbender as the Android, David 8, and now we are blown away by this cool new trailer that while awesome, is also filled with more spoilers from the film. And if you are a fan of what you have seen thus far from the adrenaline-pumping full trailer, international trailer and the first teaser trailer, get ready for one hell of a sneak peek filled with insane creatures and pulse-astounding atmosphere. Without further ado, hit the jump to check out the trailer. For those who don't mind spoiler-filled analysis of the trailer, head on to iO9 for a very elaborate shot-by-shot analysis with many intriguing theories on the film. As for those who just wanted to know more of the film, check out these cool featurettes from the film, featuring Scott, the cast, as well as screenwriters Damon Lindelof and Jon Spaihts. Visionary filmmaker Ridley Scott returns to the genre he helped define, creating an original science fiction epic set in the most dangerous corners of the universe. The film takes a team of scientists and explorers on a thrilling journey that will test their physical and mental limits and strand them on a distant world, where they will discover the answers to our most profound questions and to life’s ultimate mystery. Currently scheduled to be released in 3D on June 8th, Prometheus stars Noomi Rapace, Charlize Theron, Michael Fassbender, and Idris Elba. decaying walking corpses, compelled by their unshakably irresistible hunger for human flesh, had gotten their daily fix of brain tissue. Want some?